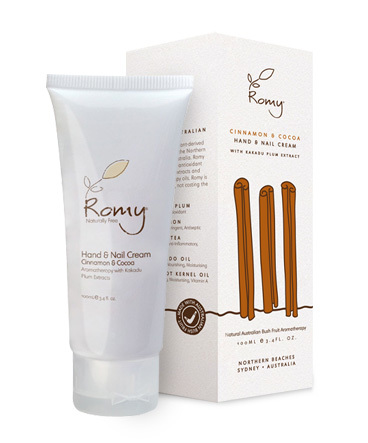 ROMY Cinnamon & Cocoa Hand & Nail Cream absorbs quickly into the skin. It does not leave hands greasy and the wonderful aromas linger on the skin. 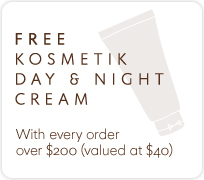 It is packed with green tea extract, as well as apricot, eucalyptus and avocado (Vitamin E) oils. Kakadu Plum: Vitamin C, Antioxidant. Avocado Oil: Vitamin E, nourishing, moisturising. Apricot Kernel Oil: Revitalising, moisturising, Vitamin A. Apply generously and work into hands and nails. Use frequently or any time your hands need pampering.